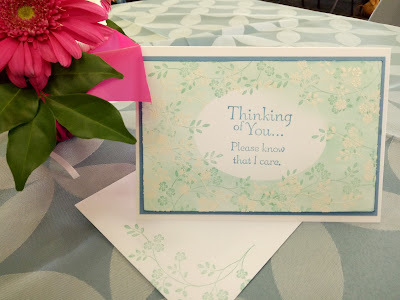 The Thoughts and Prayers stamp set allows you to send some pretty special greetings. There are sensitive words in it for expressing sympathy, sending get well wishes, and letting them know you are thinking of them and praying for them. At card class today I taught stampers how to use the emboss resist and masking techniques. It was a fin class. 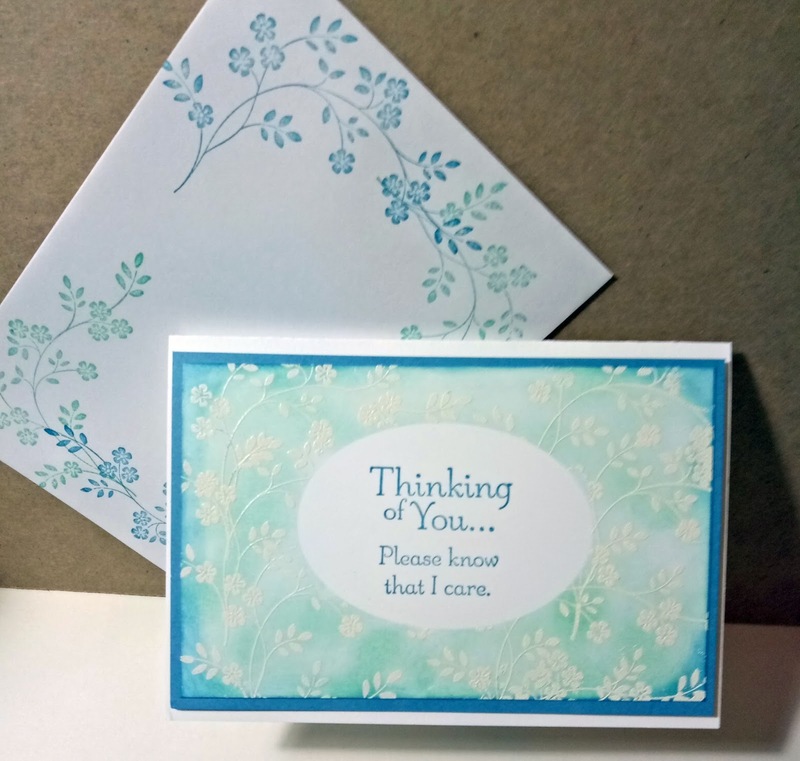 The card first posted relied only on white embossing and sponging with inks, but the second card included stamping over the top of the embossing and sponging. All supplies listed below are available for you to purchase from my SusanSalutations online store. Three New Sale-A-Bration Items Added! More New Sale-A-Bration Items are Coming! Customise your Notebooks with Fruit!